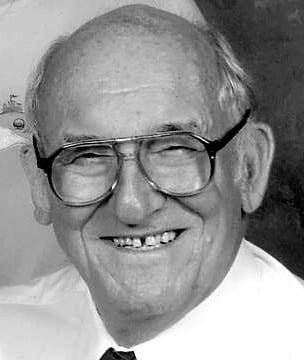 William “Bill” B. Iott, 95, of Swanton entered into eternal life Thursday, Nov. 29, 2018, at St. Luke’s Hospital in Maumee. He was born Aug. 21, 1923, in Petersburg, Mich., to the late Howard and Catherine (Wernert) Iott. He married his beloved wife of 72 years, Marian Hassen, on Oct. 12, 1946, and she survives. Bill was a U.S. Army World War II veteran. He retired from Jeep and was a lifelong farmer. A devout Catholic, Bill attended Mass and prayed the rosary daily. He attended St. Richard Catholic Church before becoming a member of Holy Trinity Catholic Parish in Assumption. Bill will be remembered as a very generous person. He was an avid gardener and would donate a large portion of his harvest to the Cherry Street Mission to help feed the poor. He and Marian enjoyed swimming almost daily at the St. James Club. He was an avid reader, and he loved playing cards. He recently had the opportunity to go on an Honor Flight with his daughter, Natalie, accompanying him as his chaperone. Bill will also be greatly missed by his children, Patricia Evans, Phyllis (Marvin) Fuller, Russell (Debra) Iott, Natalie (Jim) Burd, Darryl (Beverly) Iott, Gregory (Kathy) Iott, and Michael Iott; 24 grandchildren; 48 great-grandchildren; five great-great-grandchildren; and his siblings, Walter Iott, Leonore Gaynier, Norbert (Lois) Iott, Arvilla (Wayne) Ruetz, Roland “Cork” Iott, Delores (Robert) Reilly and Loretta (Robert) Woelmer. Bill was also preceded in death by his daughter, Sylvia A. Storeholder-Bernia; and his siblings, Gerald, Bernice, Kenneth, and Earl. A Mass of Resurrection will be held 11 a.m. Monday, Dec. 3, 2018, at Immaculate Conception Catholic Church at Marygrove, 1750 Raab Road, Swanton. Interment with military rites will follow at Marygrove Cemetery. Family and friends may visit Monday at the church one hour prior to the service. Weigel Funeral Home is entrusted with arrangements. Memorial contributions may be made to Holy Trinity Church. Online expressions of sympathy may be made at www.weigelfuneralhomes.com. Be the first to comment on "William “Bill” Iott (1923-2018)"